Recently we came across terminology such as ‘road rage’, ‘parking rage’ ‘air rage’ and ‘net rage.’ None of the normal behaviors described are new, nor individuals are changing in their feelings or emotional responses to situations. While anger served as an important role in assisting our ancestors to survive and live in social groups, we are also, particularly nowadays, direct this anger at trivial annoyances. Provocation to anger has been similar through human history, yet certain circumstances are more prevalent today encouraging us to look at our response in a different angle than we used to. Rage became a common word to attach to some everyday aggravations. Shopping rage, protesting rage, trolley rage, Internet rage, Facebook- rage call-center rage, even ‘side-walk rage’ have been added to the modern-day vocabulary. 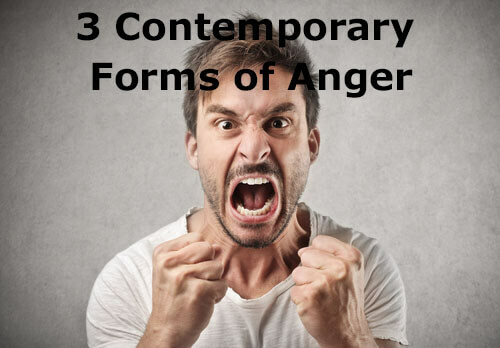 The habits and of anger (emotion) and aggression (behavior) that associated with these phenomena have been explored by theorists, philosophers, psychologist and specifically anger management therapists. One of the explanations to the rage response was the frustration-aggression hypothesis that suggests that frustration was the cause of all aggression. It is triggered by unmet need and a block to achieve a goal. Anger serves as a powerful motivated mechanism to help individuals overcome obstacles and challenges that get in their way, especially when trying to meet basic needs, related to survival, such as finding food, shelter, safety or a mate. It is clear that without such a system, our ancestors could not have survived and save themselves from impediments. Again, the automatic survival mechanism becomes triggered not only during a life-or-death situation, but also during a day-to-day obstacle such as a block in the traffic when we need to attend a meeting. Anger, also, protects from provocation that is caused insult; disparagement, belittling, or transgression of a boundary. It protects our self-esteem and respect “given to us” by others. It is not often that we see violence among criminals and teenagers who seriously retaliated for lack of “respect” that pushed them to harm the aggressor. Yet again, anger related to the respect is not unique to current generations. Another well-known anger researcher, Richard Lazarus, suggested that when challenged or threatened, people appraise the situation and assess their resources to overcome the challenge or offense by aggressive or peaceful way. If we conclude that only forceful action will repel the offender, then anger and strike are more likely to be the choice and take place. On the other hand, if the offender is perceived as more powerful, then fear and escape is more likely to take place rather than anger and retaliation. Punishment and revenge against people who break the rules and codes that we hold to be important exist in most societies. Anger theorists and philosophers have frequently presented anger as the ‘moral’ emotion and suggest that anger also results from a perception of immorality, injustice, lack of fairness, that pushes us to right the wrong. While anger can serve as the individual compass for a moral act, it has adopted as a social moral code to ensure group (tribe) survival. This social mechanism provides society with the ability to abide by rules, laws, religious and moral codes, or professional practice guidelines. There are positive moral accounts of anger that exhibit virtue and contributing to the good. Macalester Bell categorizes “appropriate anger” as a virtue because it expresses love of the good and hatred of evil. As such, moral anger’s productive and motivational features. In this regard, anger motivates us to do the right thing- We seek justice for the sake of justice and not for our own pleasure. Anger, in this case, motivates us to rid ourselves of the discomfort by seeking to pursue justice.